One of my office mates just came back from an Army Conference on the next Army rifle. Its looking very likely that the Army will go with case telescoped round that has no brass, Polymer cased. The Chief of Staff of the Army (GEN Milley) has said this is one of his 11 Acquisition Priorities. Our office is moving into high gear and a 1 Star has been put in command, with fully production ready Prototypes expected within a year. Industry is going to be challenged to the max. The rds are polymer cased and a little larger in diameter, 1/3 shorter in length, and 40% lighter than brass. The new 6.5mm rd being looked at is 123gr moving at 3000ft per sec. Next Industry Day is coming up soon. Wonder which companies will bite at making a firearm that takes a polymer case. Last edited by Thorack; December 09, 2017 at 12:09. Caseless was never going to work because the powder could be exposed to the elements even with all the sealed strips and all, it wasn't practical, as the German Army found out. Wow, they are catching up to my 6.5 X 55mm Mauser load. They may be on to something here. Just thinking about the side effects of plastic cases, someone is going to have to make this ammo for the public. Based upon the past, and the fact that even Plato had an AR-15, I predict that brass will be with us for some time to come. MacArthur kicked the last attempt at a .270 type round in the head. It was called the Petersen. 300 million firearms cannot be wrong. I don't know but if the ammo companies that make plastic ammo for the military they should be looking for money from the private market too. Just think about the cost of converting Federal to plastic cases in order to meet military contracts. Watch the video at the Textron website above. The polymer case has no rim so there is no extraction phase. Ejection/extraction happens at the same time. Weapons that use this polymer telescoped rd are gonna have to be almost new from the ground up. Last edited by Thorack; December 09, 2017 at 13:58. Great video.. just wondering how the regular rifle will be in comparison. I'm sure it'll be thoroughly tested before being issued to line units. I probably didn't read this right, are they saying all the troops will be useing the same gun? First step is ammo, then gun. Gun will be modular. Same frame will be used for Carbine, rifle, designated markman rifle and maybe even a SAW variant. This is the current strategy being discussed. Hell yes it will be tested. Ill be one of those involved in developing the tests. Army Test and Evaluation Command, "Truth in Testing". Last edited by Thorack; December 09, 2017 at 14:08. That's a pretty cool concept. But the video shows testing done back in 2011 - how much has happened since then? More importantly - how long before the Army is surplussing all its brass ammo so I can buy it cheap again??? I still haven't jumped on board with this new-fangled 5.56 round, so I don't see me needing to worry about changing over to this in my lifetime. The 6.5 AP projectile being developed will be designed to penetrate level 4 boron carbide body armor plates. AP design is secret and wont be used by combat troops until we meet an enemy that regularly uses level 4 body armor. Once the design is out it will be used on US Service members. What about the chamber / bolt head fouling from the burnt plastic???? It will probably come down to cost. If it works and they can do it cheap enough, maybe it has a chance. Just guessing but the change will be huge in its undertaking and I bet the difference on how time affects plastic vs brass will be discovered. Old brass ammo still runs today but old plastic is very brittle so how long will the new stuff store. Our allies are going to have to get on board with it too, so I see that as a hinderance for quick, easy adoption. So, Im guessing this is more like the 1950's Tround than the 1960's gyrojet ? And the Russians are working on their systems too. 1.) How will going plastic have a net decrease in the DOD’s carbon footprint? 2.) How will they be able to keep penguins, seagulls, endangered 13-stripe ground squirrels, roadrunners, bald eagles, sea turtles, river otters, baby harp seals, and Millenials from choking on carelessly ejected and scattered plastic empties? You crotchety old fart sniffers always miss the bigger issues at hand. I imagine there was much the same conversation around the stove at the general store 150 years ago when the War Dept. contemplated going from front stuffer to breech loaded metalic cased cartridge. Metric FAL parts for sale, PM me. Obviously recycling of spent plastic will be the forefront to save the planet. Best guess for fielding this new round and weapon to the troops???? It's going to take many years to make this happen and whatever timeframe is being projected, double it. My current project that I have filed a patent for is related to this. My prototype is currently being machined, hopefully my design address the issues that plastic and Caseless have. DoD has a long track history of stifling innovation through bureaucracy; why would this be any different? The industry will not lose any sleep over this. I expect a plasma bolt rifle in the 40 watt range has a better chance of actually being developed, validated, and deployed than this 30 year old “innovation”. If this program moves at light speed it might be in soldiers hands for first unit equipped in 30 months. If the performance lives up to requirements, SOF will see this first. I doubt this tech transfers to the civilian market as I have yet to find the hunter worried about a 210rd basic loads weight. Was wondering what happened with this project. Probably never see it in a three gun match like other military rounds huh. Used On? US service members. Not sure I would volunteer for that assignment. No, but the Run N Gun guy certainly is worried about it! How do you clear a stoppage? Whatever we make,some will fail. Shove a clearing rod down the muzzle? From what I have seen remidial action with the polymer cases is the same as with any other rifle. Who knows what designs industry will come up with. Requests for proposal will come out mid next year. We will have to see who comes to compete. Never met a run n gun guy worried about his ammo penetrating level 4 boron carbide body armor plates. If the civilian market wants this it will come at a premium until its widely adopted. Brass for the civilian market will be cheaper for at least a decade is my bet. Big Army is gonna work on building stockpiles similar to what they have now in brass. I have seen a group working on part polymer case ammo for a couple of years. And yes it's for our military as a way to cut weight. The case head is SS and it about a third of the length and the rest is polymer. They have 7.62 Nato, 300 WM, 338 L done and tested and have 5.56 about ready to go. I'll see if they will let me take pics of the cases. The gun community will build a civilian gun for any cartridge that shoots straight. Even if it's only a single shot to start with the folks love new challenges. If the ammo becomes available and I bet it will, the shooters will build guns for it. Plastic doesn't last like brass does so the military will dump unused ammo quicker in my opinion, use it or lose it. Part of the reason polymer ammo is being looked at is because it cannot be reloaded. SOF community has asked for cases that cannot be reused for awhile. Folks will just make their own with a 3D machine or new tech. They will take the empty cases and melt them then rebuild them. Men are smart and will find a way. I've heard this before about cases being able to be reloaded, but is the enemy really sitting around with a progressive press and a can of Varget and reloading ammo? I know they do some stuff on the northwest frontier in Pakistan in terms of dodgy ammo and guns they build, but it can't be a widespread problem. If they want to tackle it, switch to berdan primed brass, that will fix em. I can reload berdan brass but I don't see some guy sitting around in a hut doing it. The Wogs in Pakistan and Afghanistan sit around in their mud huts and whip up SMLE's when there is British ammo to be had and British soldiers to shoot at just as they have hand build AK's now for the same reasons but for different soldiers to shoot at. That is unless a sufficient number of factory built AK's fall into their hands one way or another. They are very patient and proficient people. They will reload Berdan primed or Boxer primed ammunition if and when the need arises. "Allah will provide". Don't make the mistake of selling their capabilities short. Worked OK in a demo for the G11, but lets see how it held up after long term exposure to moisture. I asked my friend over the weekend, an active duty CSM who was with group until this current assignment, why polymer ammo? His answer, were to keep the brass from being melted down and used for producing IED's, shape charges, etc. Said it was becoming a real problem in most areas where they work. Not so much for reloading, though he did say he'd seen evidence of that as well. If they go with a thermoset polymer versus thermoplastic one, you can not melt down the polymer and reuse it. The polymer will burn or decompose before melting. Polymers like PEEK (polyetheretherketone) will start decomposing at 600°C (1132°F) and silicone polymers are significantly more heat resistant (up to 800°c/1472°F). As a reference aluminum melts at 1221°F. 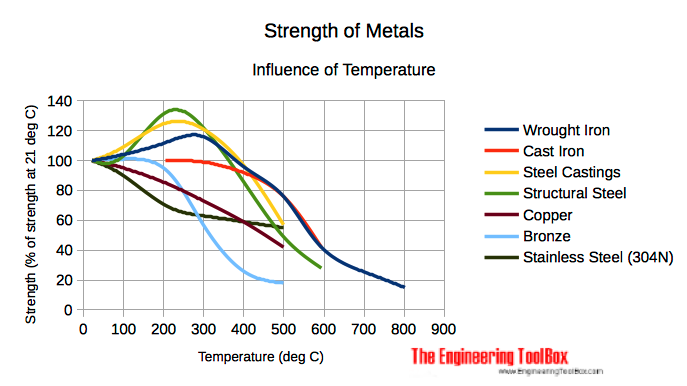 At that 600C most metals have lost most of their strength and have softened significantly. So choosing the right polymer will make a heat stable polymer. The real question is finding a polymer that is heat stable, hydrolysis resistant (water will not destroy it), solvent resistant (resists oils and gun cleaning compounds), had the right balance of tensile and elasticity... I am not sure the perfect one exists now commercially, but with the volumes needed for this project, it will. I'm guessing the case will be part of the propellant. Think solid-fuel rockets or even the Pyrodex pellets. If the entire thing burns up then there are not expended shells ejected. Two less parts to break when you have no worries about extractors and ejectors. I'm also betting on electrical ignition so no moving striker/hammer firing pin parts either.